One of the most effective strategies for book marketing is to create a press kit. This costs no money, but it’s a worthwhile investment of time because the kit will be used from pre-launch throughout the full life of the book. WHAT IS AN AUTHOR PRESS KIT? A well-designed author press kit serves as an easy-to-read source of information about a particular book. The goal is to convince folks to read this book and to share it with others. Of course, the author’s unique skills should be highlighted as well, because media outlets need a reason to interview an author OTHER THAN the fact that their book is for sale. In other words, what makes THIS particular author worthy of air time/ink/review/shelf space? WHO READS THE PRESS KIT? With millions of books on shelves/cybershelves, the kit must convince people to choose THIS ONE. An author press kit consists of five components. Cover Art: A high resolution jpg of the book’s cover. Sell Sheet: A quick list of the book’s publishing information. Include back-cover copy, the specific editions of the book and availability; date of publication; name of publisher; and a general scope of the marketing/promotion plan (regional vs. national tour, blog tour, media interviews, advertising campaign, publicist, etc.). Give folks an idea of how much effort is being put into this campaign and be sure to include contact information for author and/or publicist. Press Release: This serves as the official press release for the book. Follow the traditional format and exhibit professional know-how. Interview Q&A: Provide a sample interview. Let this show the author’s personality, interesting background, or special skills. Offer something unique that would engage listeners/readers. Sample Chapters: Link to a free chapter or two on Scribd. Offer a sneak peek that showcases the author’s talent and the tone of the book. HOW TO SHARE THE PRESS KIT? Once the kit is complete, convert it to PDFs and organize a PRESS KIT folder. Upload pdfs to an author website for easy download. Before launch, research bloggers, media outlets, libraries, booksellers, bookclubs, etc. and create spreadsheets for each. Send email or postcards to these targets inviting them to download a free author presskit with sample chapters of the soon-to-be-released book. Also share links via social media and other sites geared toward reaching readers. With a little effort, a proper press kit can impress and intrigue. If done right, the kit will lead folks to a new book before it ever hits shelves. 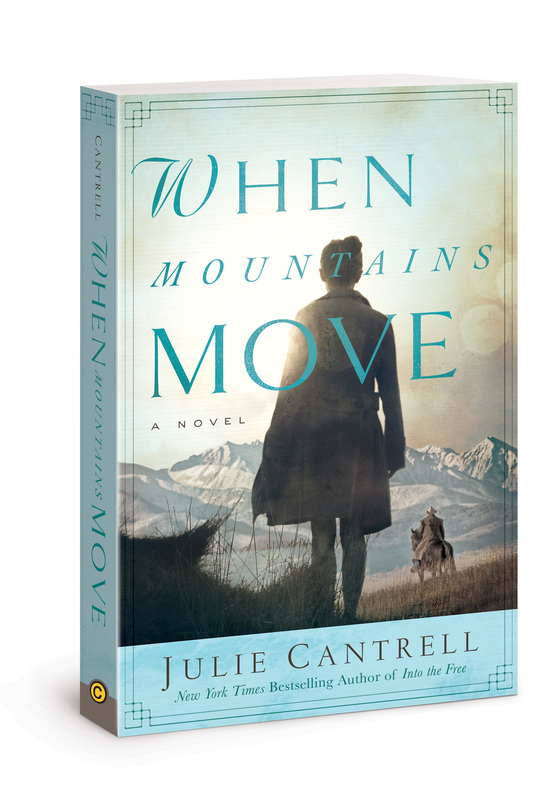 This entry was posted in Writing and tagged Author, fiction, Into the Free, Julie Cantrell, marketing, Press Kit, When Mountains Move by Julie Cantrell. Bookmark the permalink. Very helpful post, Julie, especially coming from a best-selling author who has proven a press kit’s power when done well. Thanks for laying out the process in a simple format, easy to follow.